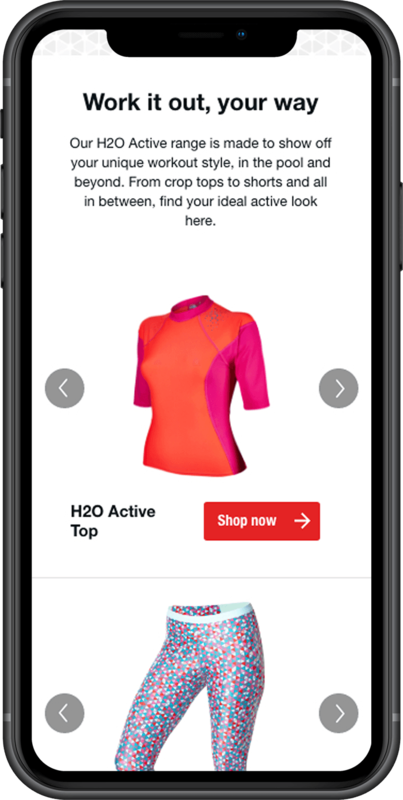 We were briefed by Speedo to create two campaign landing pages for two brand new products at the same time. Creating a self contained experience, using the existing brand guidelines and with clear calls to action. Time was of the essence. We had just under a three weeks to design, build and launch both pages. Designed, built and launched within a very short timeframe, the pages were a success. Analytics data showed that traffic was flowing smoothly to the correct places and converting. With both of these being brand new pages, we had no benchmarking but Speedo did say that these pages were 10% better at converting traffic overall against the rest of the website. 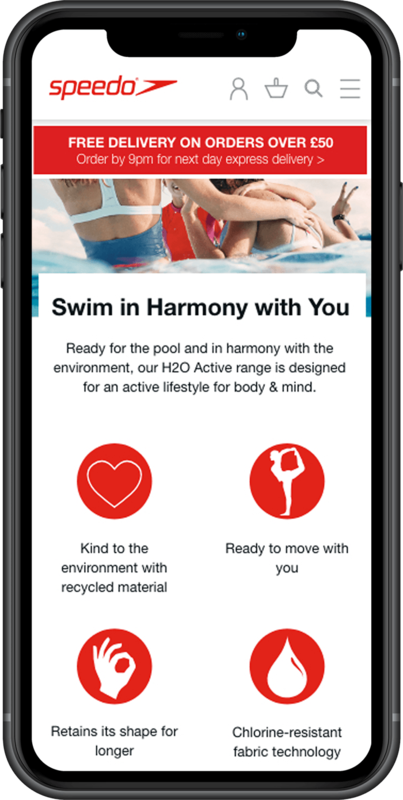 The pages were launched in mid-2016 and are still available now even since a rebrand by the digital arm of Speedo.